REGISTER NOW FOR 2018-19 Programs! 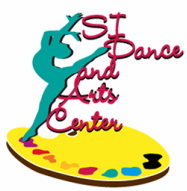 Staten Island Dance and Arts Center ("SIDAC") offers classes for all levels of dance in Jazz, Tap, Ballet, Lyrical Ballet, Contemporary and Hip-Hop, as well as special feature classes, such as Street Tap, Illusions and Flexibility and intensive workshop throughout the year. We also offer Happy Feet classes for children with special needs. SIDAC has a full offering of art classes in drawing, painting, charcoal, oil pastels and sculpture as well as feature classes in home economics, cooking, sewing, knitting, and fashion design. SIDAC also has drama and musical theater classes done in workshops throughout the year. Our classes are offered for ages 2 through adult, for boys and girls. Monthly tuition rates are very affordable and we offer sibling discounts. And multiple class discounts. We offer competition teams in dance and musical theater. Students perform solo, duo and trio routines as well as group routines choreographed by the best teachers on Staten Island. Our biggest assets are our convenient location and our seasoned, professional dance, drama and dance educators. Lastly, we pride ourselves in giving back to the community in a multitude of ways, including donating to local food banks, performing at senior citizen and special needs adult facilities during the holidays and donating to charity benefits. Our Holiday Performance Troupe is traveling all over Staten Island bringing holiday cheer to so many people!